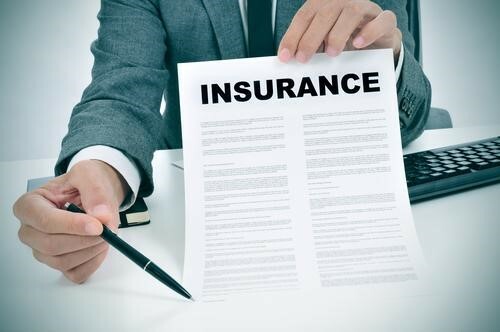 5 Reasons Your Company Needs Fiduciary Liability Coverage | Harry Kelleher & Co., Inc.
A lot goes into providing your employees with various benefit programs. You may have some oversight as to the administration of things like healthcare or a pension fund, but it is likely that you contract this work out to a specialized firm. Even if you have done everything possible to make sure that the program is run properly and managed by professionals, there is still some risk. With a policy for fiduciary liability coverage, you can mitigate the risks that come with these programs. Let’s take a look at five reasons why your company may need fiduciary liability coverage. The top reason to get fiduciary liability is that it costs a lot of money to resolve a claim. The average settlement in one of these claims is close to a million dollars, and just under 70% of all claims resolve in favor of the plaintiffs. This doesn’t even account for the overall cost of defending against such a claim, which can easily run to over a quarter of a million dollars. With the costs being so high, one of these claims could have a significant impact on the financial stability of your company. A program for employee benefits generally comes with some type of plan. In accordance with the law, these plans must be followed. The fiduciary has to follow the plans as they are laid out in the documents, and if they do not, they could be sued. A failure to follow the documents of the plan is one of the most common reasons for ERISA litigation. As a person involved in the management or administration of a benefits plan, you are personally responsible for any breach of your duties. If you are found to be in violation of any of these responsibilities, you could be required to reimburse the plan for any losses or you may have to forfeit any profits that were made through improper use of the fund. Since you can be held personally liable, it means that the stakes are very high with ERISA litigation. You cannot avoid liability by simply blaming the plan participants for their decisions. It is the responsibility of the fiduciary to provide participants with a wide variety of investment options, and to make sure that they are informed about their options. It is also the responsibility of the fiduciary to ensure that the fees associated with the investments are kept to a minimum. Any failure in this regard could result in a lawsuit. Hiring outside vendors is a common part of many employee benefit plans. You may think that you are safe in hiring these professionals, but you are also responsible for the mistakes that they make. By regulation, the Department of Labor states that a fiduciary must monitor and vet any outside service that they hire to assist in the administration of a benefits plan. With this being true, you could find yourself liable for the actions of the outside vendor. Even if you act in good faith and follow all of the best practices, mistakes and omissions can happen. By getting fiduciary liability coverage, you can mitigate the risks that come with acting as a fiduciary, and protect both your personal assets and the assets of your company. Businesses in the New Orleans area have been trusting Harry Kelleher & Co. with their insurance needs for more than 30 years. If you need fiduciary liability insurance, we can help you to understand your options, and find a plan that fits the needs of your business. For more information, contact us today!